Sanford, ME – Marian J. (Levesque) Tibbetts, 64, peacefully passed away on Sunday, February 4, 2018 at her home surrounded by her husband, son, and daughter. She was the wife of Larry E. Tibbetts. 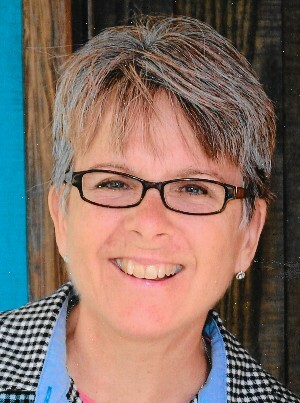 Mrs. Tibbetts was born in Nashua, NH on December 8, 1953 a daughter of the late Roland J. and Grace M. (Gagnon) Levesque. She attended local Parochial and Public Schools, and graduated from Alvirne High School in Hudson, NH in 1971. She then went on to graduate from Plymouth State College with a B.S. in Elementary Education in 1975. In 2000 Marian graduated with a M. in Education from Leslie University. Marian married Larry E. Tibbetts on June 1st of 1974 and together raised two children, Shawn and Amanda. Mrs. Tibbetts taught in primary schools over a thirty-year period in NH, ME and VT, her longest duration teaching at Griffin Memorial School in Litchfield, NH. Marian and Larry spent decades enjoying square and round (ballroom) dancing in the southern NH area. They also enjoyed travelling and the arts. Her greatest joys in these later years were her five grandchildren. Besides her husband Larry, Marian is survived by her son, Shawn J. Tibbetts of Kennebunk, ME and his two children Brianna Ella and Cody Austin Tibbetts; as well as her daughter Amanda Sprague with her husband Todd of North Waterboro, ME and their three daughters Elizabeth Jean, Lelana Grace and Laurel Claire Sprague. She also leaves her sister Susanne (Levesque) Lindquist with her husband Richard of Hudson, NH, and her brother Richard B. Roy Levesque with his wife Shirley of Hudson, NH as well as many nieces, nephews, grandnieces, and grandnephews. She was predeceased by her parents, and a brother Thomas G. Roy Levesque, Tom's surviving widow, Evelyn Levesque resides in Missouri. A Funeral Service celebrating Marian’s life officiated by Pastor Dan Moore will be Friday, February 9th with a receiving line to offer condolences to the family beginning at 3:00 and the service beginning at 3:30. The family will welcome you to share a short word of remembrance during the service. All are welcome to attend the service and a reception time to follow including a light meal in the church's fellowship hall. It will be held at Messiah Christian Church, 2700 Post Road (Route 1), Wells Maine. Marian's wish was that in lieu of flowers people might make a donation in her memory to any program of their choice supporting children in the arts. She herself enjoyed supporting SonDance, a Christian Outreach Dance Academy, and a ministry of Messiah Christian Church, 2700 Post Rd, Wells, Maine 04090. A donation in her name to VNA Home Health and Hospice 50 Foden Rd, South Portland, ME 04106 would also be an appreciated tribute.